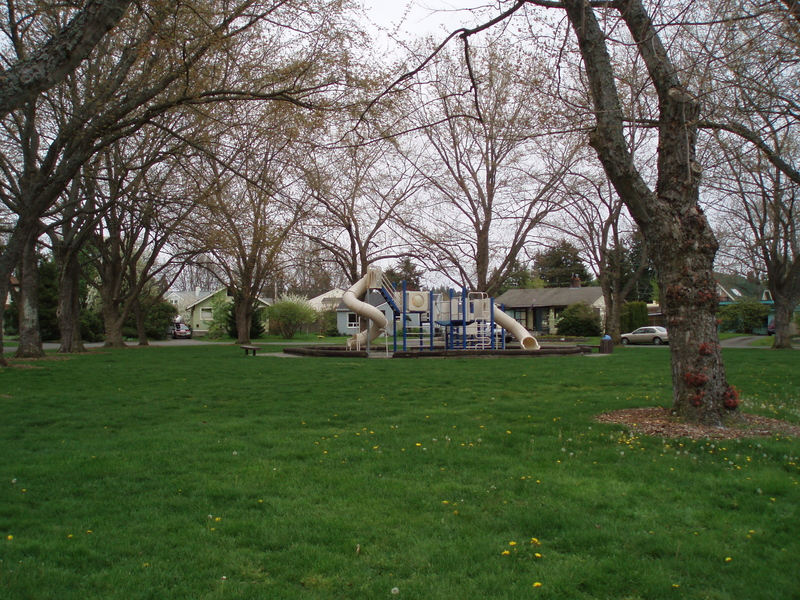 Lorraine Ellis Park | Discovered ... Right Here! 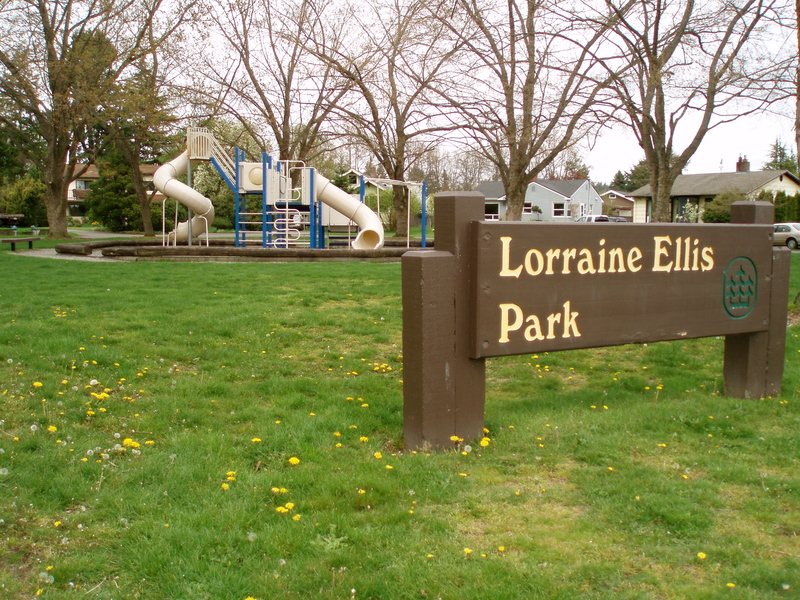 Is the Lorraine Ellis Park just yet another Bellingham, WA park? 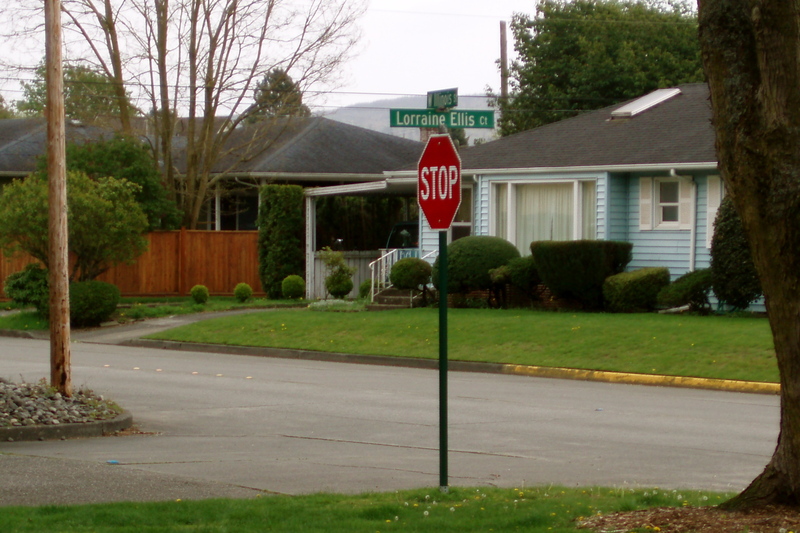 For my cousin, my sister and me, the Lorraine Ellis Park on the corner of West Illinois Street and Lorraine Ellis Court was simply a drive-by park. One those you often see as you’re driving along, but rarely (if ever!) stop at. I believe my sister and I played there once years ago, but my cousin claimed he never had. Its adult sized play structure surprised us as we investigated this neighborhood spot. 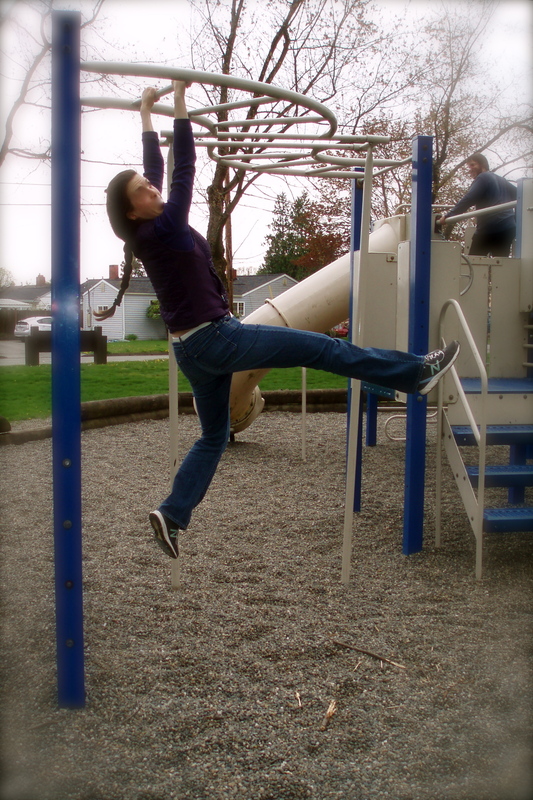 Yes, an adult-friendly play structure! As I crossed the monkey (or perhaps you prefer, the “horizontal”) bars, I realized I had at least an 18-inch clearance between my toes and the deep pea gravel. As I am over 5 and half feet tall, the probable 7-foot height impressed me. The entire structure was tall enough to be challenging and fun for adults to navigate. 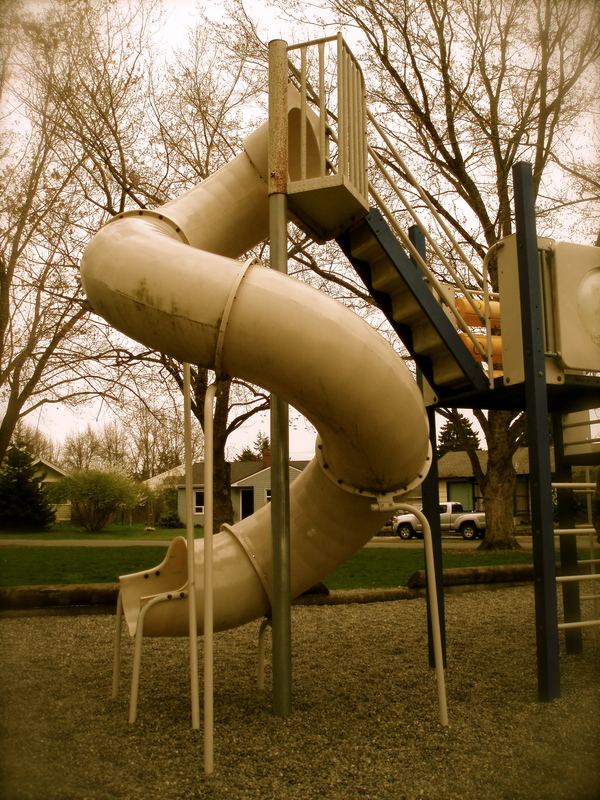 While the tube for the taller slide was a bit narrow, the height and length of it made for a throwback moment, a moment I expected not to experience again at a random neighborhood park. On a side note, if you have ever faced the challenges of attempting to transfer an indoor routine to the outdoors, you need to try this park. If you want work out outside, this is your go-to park.